A classic double breasted button two show six Harris Tweed overcoat in a stunning charcoal " Glen Check " . 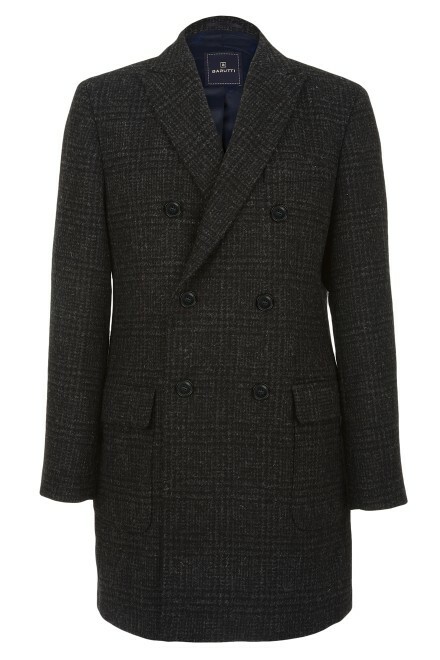 This coat is smart and sophisticated, and would make a perfect partner for a business suit. Ideal during the cold Winter months, this stylish coat will keep you warm and comfortable.